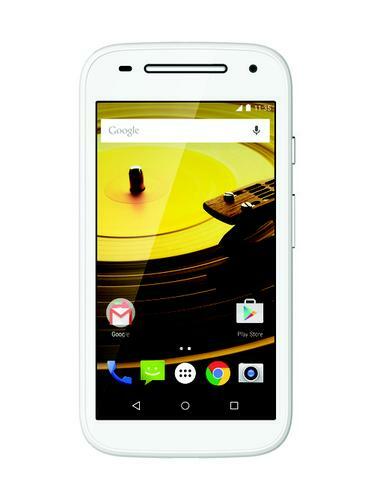 The new Moto E from Motorola has a 4.5-inch screen and LTE. The Moto E's specification doesn't stand out from the competition even with LTE and a faster processor. Instead it's the design that makes Motorola's new device a good alternative for consumers who want an affordable smartphone. Many low-cost smartphones suffer from a toy-like plastic construction, but the Moto E is more substantial, and even if the product doesn't use any metal it feels more expensive than its $150 price tag. The overall performance isn't all good news, but put together you still get a good smartphone. The upgraded Moto E has a 4.5-inch, 540 x 960-pixel screen and a 1.2GHz Snapdragon 410 quad-core processor from Qualcomm. The first iteration has a 1.2GHz dual-core Snapdragon 200 processor and a 4.3-inch screen with the same resolution. One of the more interesting parts of the Moto E's improved specification is that its Snapdragon 410 processor has twice as many cores as the Snapdragon 400 in the more expensive Moto G, something that may inspire Motorola to launch an upgraded version of the G sooner rather than later.